After their father strikes it rich as a video game developer, the Smithfork siblings are forced to move away from their cozy Brooklyn home to a stuffy apartment in wealthy Manhattan. CJ, Brid and Patrick are, understandably, unhappy about their new life in a strange apartment, at new private schools and surrounded by spoiled rich kids. But when they stumble across clues to a decades-old treasure hunt left by the original owner of the apartment, things start to look up. Now the kids are on a race around New York City to find clues leading to the treasure, uncover secrets long buried, and overcome their own challenges. I approached this book, the current pick for a tween book club I co-host, hoping for something similar to The Westing Game or From the Mixed-Up Files of Mrs. 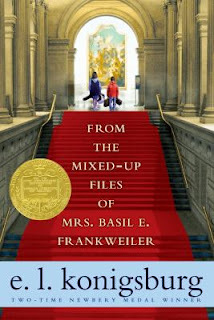 Basil E. Frankweiler - a good old-fashioned mystery. Unfortunately, what promised to be a fun, adventurous treasure hunt across New York City was ultimately crushed under the weight of poorly written sentences, one-dimensional characters, and an implausible mystery. One of this book’s biggest flaws was the amateur writing style and unbelievable dialogue. First novels are always tricky (even the first Harry Potter novel is messily written), but I still found it difficult to wade through the poorly constructed sentences in order to focus on the mystery. The dialogue, in particular, was jarring and unrealistic. In the acknowledgements, I believe, Sherry references listening in on the conversations of her own children and their friends and building her dialogue stylistically from what she heard. I don’t have children of my own, but the kids I do know are far more interesting, animated and age-appropriate than the Smithfork siblings. Dialogue should be a window into each character’s personality, but the dialogue in Walls Within Walls was flat and interchangeable. This novel also suffers from one-dimensional characters. Part of this can be attributed to the poorly utilized third person omniscient point of view, which allows readers to see bits and pieces of all the characters, but doesn't seem to give them any depth. 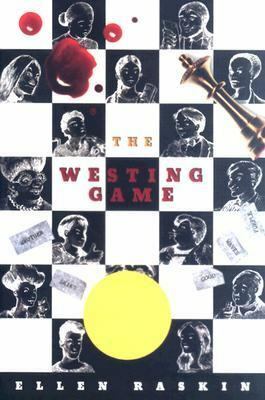 At the end of the novel, main characters still lacked real personality, and secondary characters were merely cardboard cutouts present only to spout long informational paragraphs or further a plot point. Children are incredibly dynamic and I think Sherry missed a real opportunity to tap into the quirky things they say and do. Instead of three siblings like those in Lemony Snicket's A Series of Unfortunate Events, who are cleverly drawn with separate behaviors and interests, the Smithfork siblings are carbon copies of each other. A more unique grouping would have given the book added personality and wider appeal. 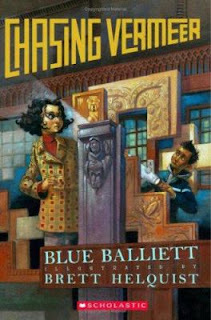 There is always some suspension of disbelief necessary when reading a mystery novel, particularly those involving children. Why would a child with limited knowledge and life experience be able to solve a mystery that has stumped hundreds of professionals? Usually I can overlook that and accept the plot for what it is. Not so this time. In Walls Within Walls, it is specifically mentioned that people have studied the apartment many times over with infrared technology and other fancy equipment, all of which should have been more than capable of finding the clues the Smithfork kids stumbled across so easily. 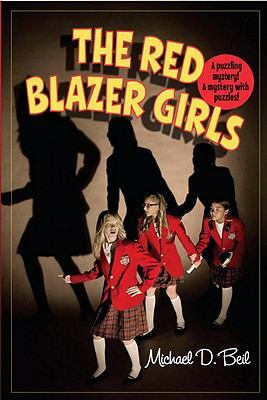 Even engaging the necessary suspension of disbelief required for juvenile mysteries, I still thought the mystery was inconsistent. Tying poetry to architecture is an interesting concept, perfect for a setting as rich in history and culture as New York City, but it wasn't always exciting. I did like how Sherry eschewed some of the more well-known tourist attractions and showed readers another side of the city but, on the whole, I think the city could have been a stronger component. I also felt like some of the clues didn't logically lead to the destination the characters thought they should. Some points in the mystery just didn't make sense (including the final destination), and the credibility of the story suffered for it. 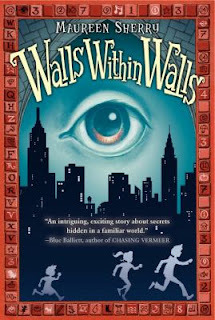 The first book in a new series, Walls Within Walls had the potential to be an exciting adventure story, but ultimately could fails to deliver on its promise. However, this opinion is not a popular one, so give this book to your kids, who will probably love it, but approach it yourself with extreme caution.